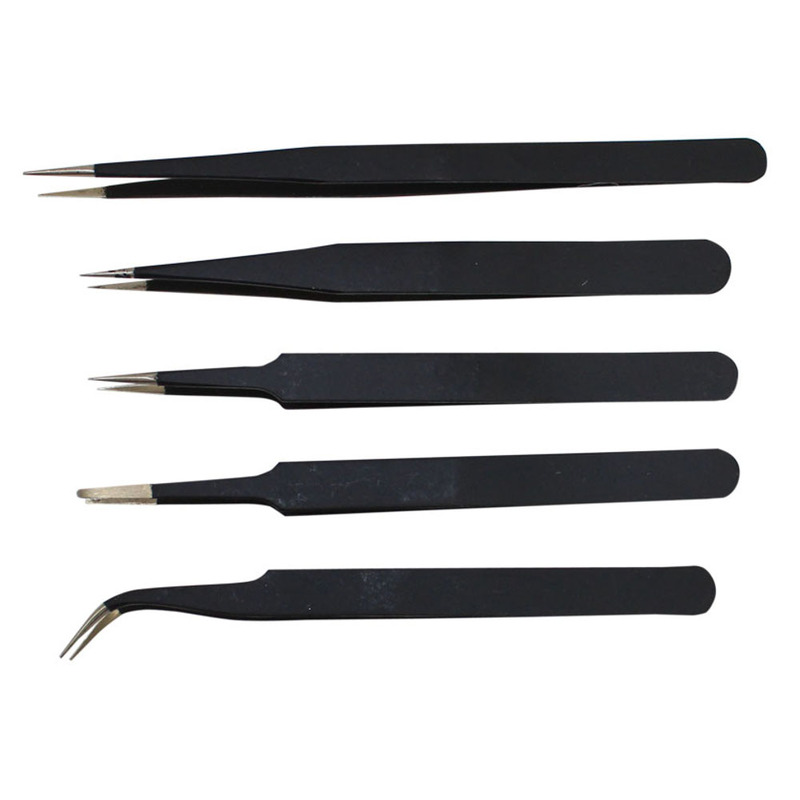 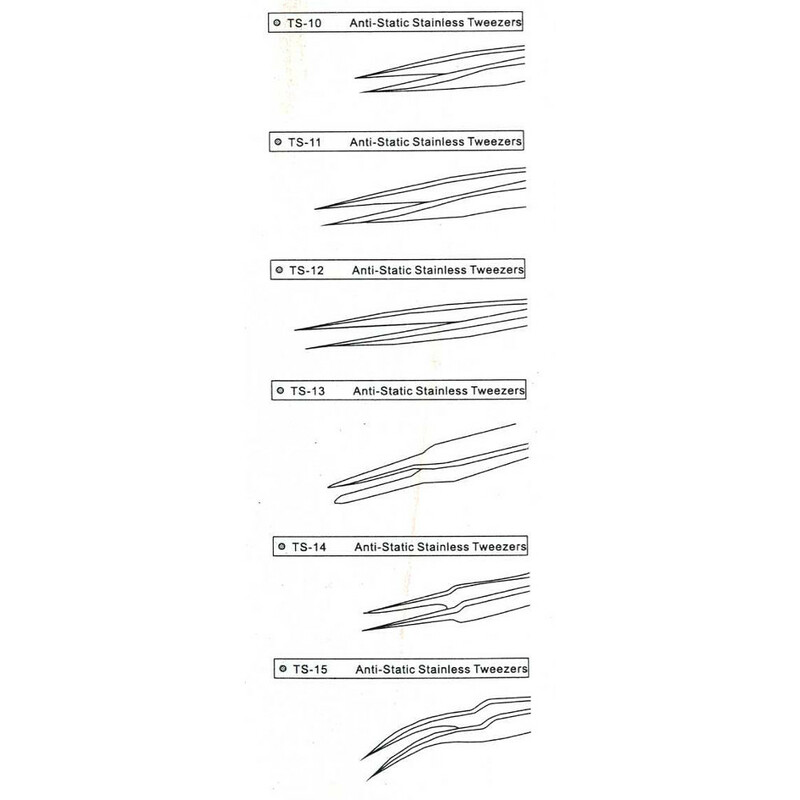 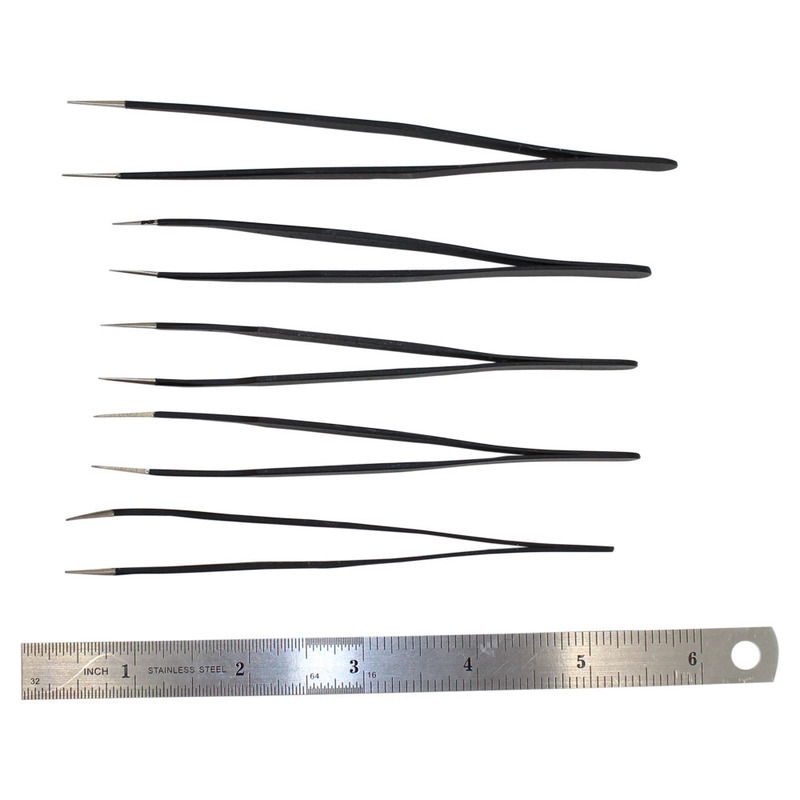 A set of 5 anti static stainless steel precison made tweezers that are ideal for handling electronic components. 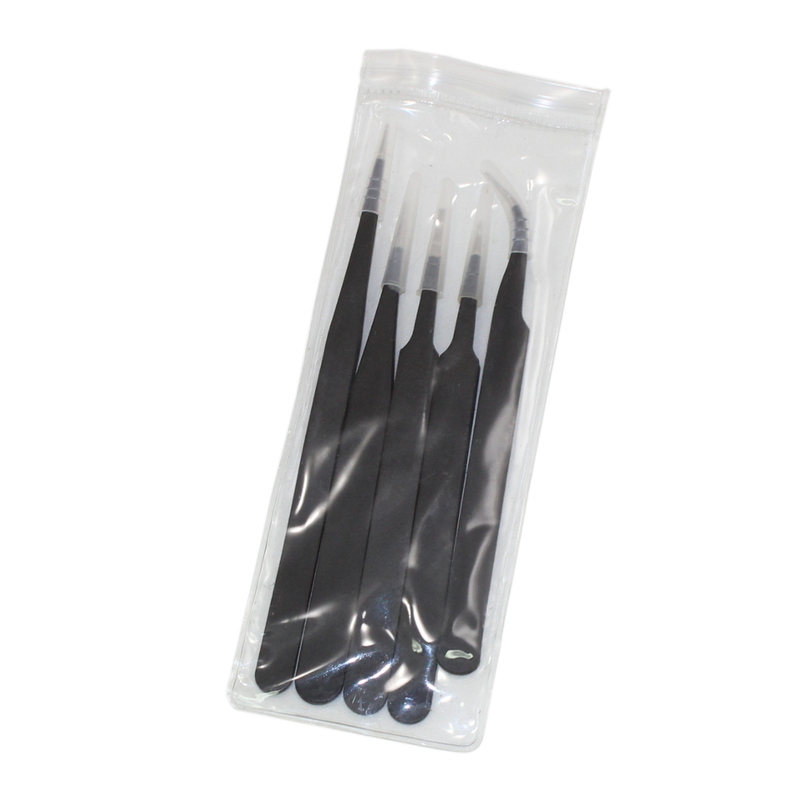 Epoxy coated and also anti magnetic and resistant to acids. 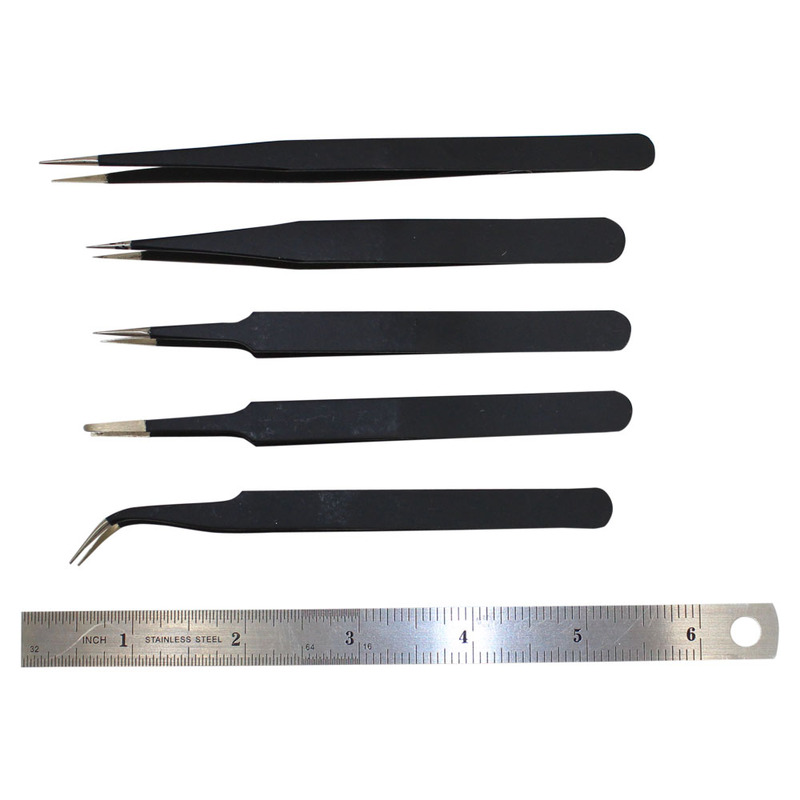 5 tweezers are included.